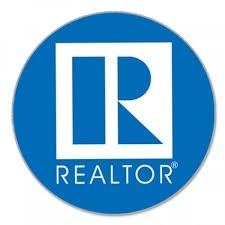 The Etowah Cherokee Association of REALTORS® (ECAOR) is a local association of real estate professionals united by a Code of Ethics and affiliated with the Alabama Association of Realtors® (AAR) and The National Association of REALTORS® (NAR), the world’s largest professional association. ECAOR is composed of REALTORS® who are involved in residential and commercial real estate as brokers, salespeople, property managers, appraisers, counselors and others engaged in all aspects of the real estate industry. For more information contact Debbie Strickland @ REALTORSG@comcast.net or 256-543-7987. The ECCAOR office is open Monday and Wednesday from 8:00 am-4:00 pm and Friday from 8:00 am to 12:00 pm. ♦ The principals of a real estate firm must first join a local REALTOR® association before any non-principal can join. Principals are defined as: sole proprietors; partners in a partnership; corporate officers or majority shareholders of a corporation; or branch office managers acting on behalf of the principal. ♦ Affiliate membership is available for those in businesses or industries connected with the real estate industry. Contact the ECAOR office to find out more about becoming an affiliate member.